1775 - 1799: Evacuation Day, Independence, and Rebuilding "
The Siege of Boston, which began on April 19, 1775 and more or less trapped the British in the city, inspires the Massachusetts Commission on Safety to begin building up troops. Their goal? They want to build up a Continental Army with 15,000 troops from Massachusetts and 15,000 from the other colonies. After the defeat at Bunker Hill, the Continental Congress chooses General George Washington as Commander in Chief. Washington takes charge of the troops on July 3 and organizes a Continental Army out of the numerous local militias. Washington and the troops take Bunker Hill and Breeds Hill back from the British without incident. However, the British remain as the Siege of Boston continues. Their experience at Bunker Hill showed them that although they might technically be able to win battles, they don't have enough ground support to defeat the rebels. Because they command the harbor and can get supplies, they're in no hurry to leave Boston. But in a few months, they're happy to leave alive as the Siege of Boston comes to an abrupt - and ominous for them - end. 1776 - The Siege of Boston Ends! Evacuation Day! On March 17th, the 11-month siege of Boston ends when British General Howe, his fleet of ships, his troops, and a number of loyalists agree to depart for Nova Scotia, out-maneuvered and out-gunned by General George Washington’s Continental Army. Fifty five cannons, captured from the British at Fort Ticonderoga in New York during the previous May, brought to Cambridge in January and then finally to the Dorchester Heights area of South Boston. Overnight, Washington's men use branches and logs to put the cannons into position on the frozen ground . . . without being detected by General Howe. On the morning of March 4, perched in strategic spots, the guns overlook the city, Boston Harbor—and the British fleet. Despite having several thousand seasoned soldiers plus the support of 1,100 loyalists within the city, General Howe faces probable slaughter of his troops if he tries to attack, or if Washington attacks and he tries to fight back. His fleet of ships, anchored in shallow water, is useless due to the cannons pointing down at them. In this "checkmate" situation, Howe accepts General Washington’s offer to evacuate safely . . . on the condition that he does not burn the city on his way out. He and his fleet depart on March 27. This decisive (and smart) win against several thousand experienced Redcoats and 1,100 loyalists—achieved with only a few warning shots and unmarred by loss of life or property—marks General Washington’s first victory of the war and gives the soon-to-be Americans a huge morale boost. Since 1901, Evacuation Day has been an official holiday for Suffolk County, Massachusetts, where Boston is located. 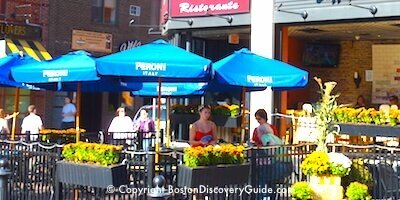 Bostonians still celebrate the ending of the Siege of Boston on Evacuation Day (along with St. Patrick’s Day) every year on March 17th. 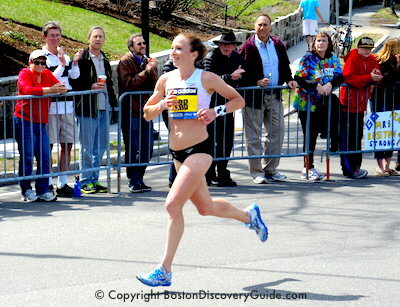 Never again do the British attack Boston. 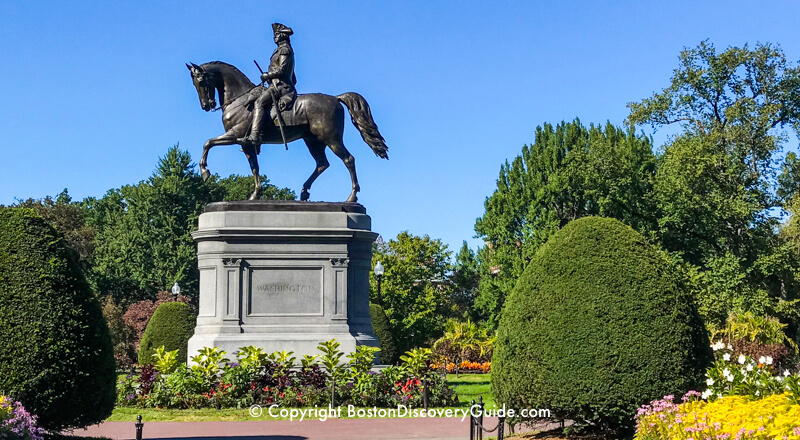 Although the Revolutionary War rages on for seven more years and Boston’s population drops from 20,000 to only 6,000 as residents scrambled to survive during this tough period, city is spared from the ravages of battle. Independence Day! The United States of America is born! On July 4th, 1776, President of the Continental Congress and Governor of Massachusetts John Hancock signs the Declaration of Independence in Philadelphia. 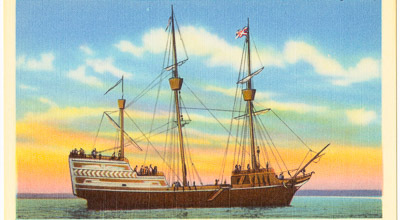 A wealthy Bostonian who dislikes British rule, Hancock has used his wealth amassed as a merchant to help finance with Revolutionary War. 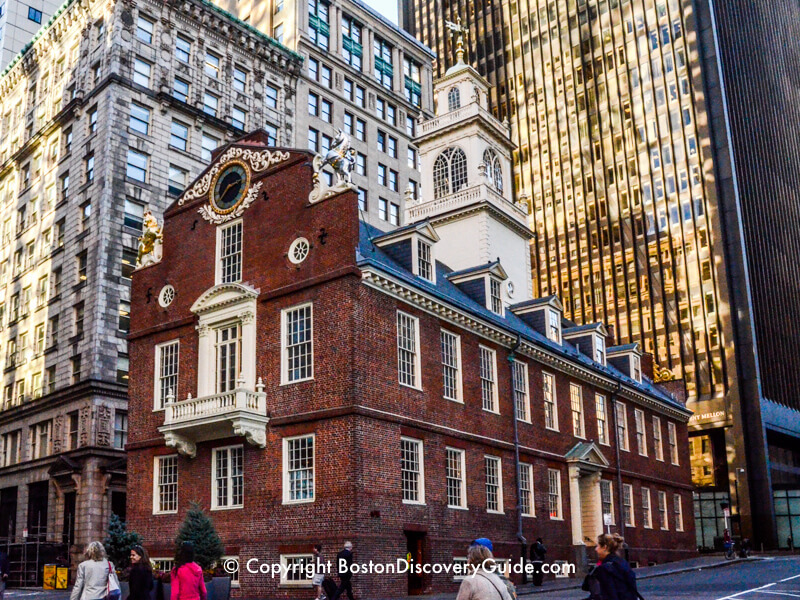 On July 18th, citizens gather in the street in front of Boston’s Old State House to hear the Declaration of Independence read aloud from the balcony—the first public reading in Massachusetts. John Adams writes the Massachusetts State Constitution, the first constitution in the nation and later the model for the U.S. Constitution. However, the Massachusetts State Constitution differs by guaranteeing that all people shall be treated equally and enjoy fundamental liberties. As a concrete expression of the principles expressed in the Constitution, Massachusetts bans slavery. John Hancock becomes the first Governor of the Commonwealth of Massachusetts. Later this year, the Warren Tavern—now the oldest tavern in America—opens in nearby Charlestown. 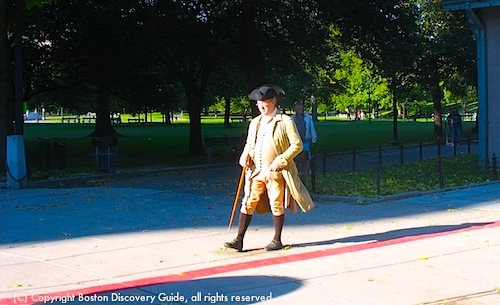 Named after patriot Dr. Joseph Warren, slain at Bunker Hill, it quickly becomes a favorite watering spot for George Washington and Paul Revere. It's still popular today. The Americans and the French (who joined the Revolutionary War on the side of the Americans) defeat British General Cornwallis in the Battle of Yorktown. General Cornwallis surrenders his entire army of 7,000 men on October 19. At this point, the war is effectively over, despite a few more battles at sea. Preliminary peace articles are signed in Paris. The Treaty of Paris is signed by the United States Congress of the Confederation and England on September 3, formally ending the War for Independence. Massachusetts becomes the first state to abolish slavery. Abolition is based on the Massachusetts State Constitution guarantee of equal treatment for all people. In January, Boston citizens meet at the Green Dragon Tavern, where earlier the Sons of Liberty had plotted the Revolution. They pass resolutions supporting the adoption of the Federal Constitution, which is being considered by delegates from all over the Commonwealth. Charles Bulfinch, a young Bostonian from a wealthy family, begins designing Boston churches, public buildings, and homes based on his observations of European architecture during a 2-year tour. Over a 23-year period, he transforms Boston’s architecture as he expands Faneuil Hall, spearheads the development of Beacon Hill, and most spectacularly, designs Boston’s magnificent gold-domed State House.